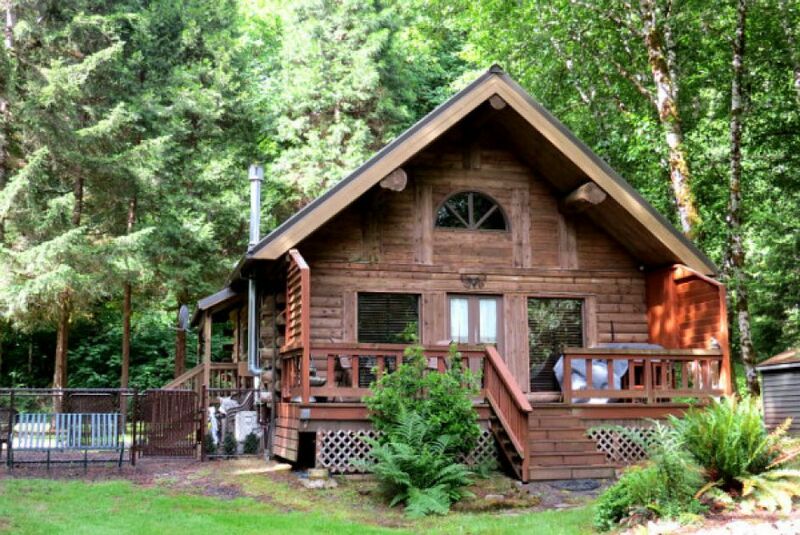 As if a perfectly sized cabin nestled in the forests of Oregon couldn't be more perfect, it also happens to be located right next to the majestic Fishhawk Lake. If you want to escape from the stresses of the city and retreat to a quieter, simpler place, then this is the retreat for you. Not only will you be able to enjoy the trees surrounding you, but also your own private dock. 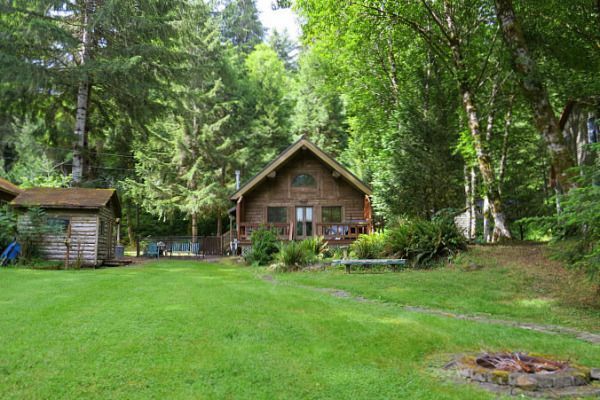 The yard of this cabin is manicured to perfection and looks like something straight out of a dream. 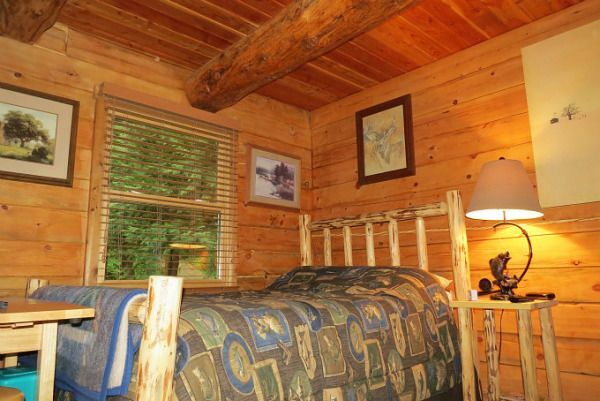 Not only that, however, the property also comes equipped with two log sheds that you can store all your toys and gear. Just get a canoe or kayak, pull it up from your very own dock, and sore it mere feet from where you last used it. Talk about convenience! The lake itself is as still and smooth as glass, and you could float on it, serenely, as if you were the subject of a gorgeous painting. The interior is cozy and warm, and has ample space, ready to take on you and your family with ease. 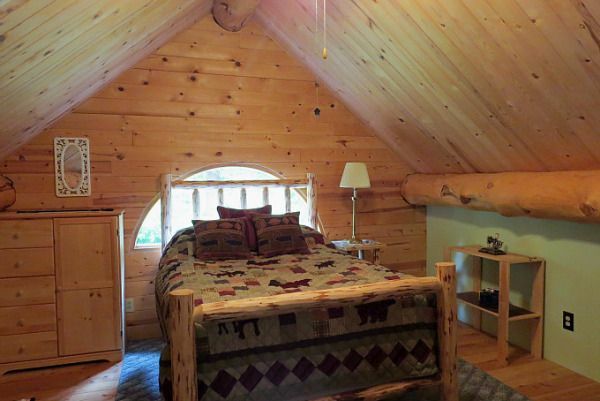 The ceilings are vaulted and really open up the insides, giving you a very spacious and relaxed feeling. The living room looks out onto a lovely deck, and the windows running all along the back wall give large amounts of natural lighting, making the cabin vibrant and bright at every opportunity. The kitchen is compact, but by no means small, and can easily service all your needs. 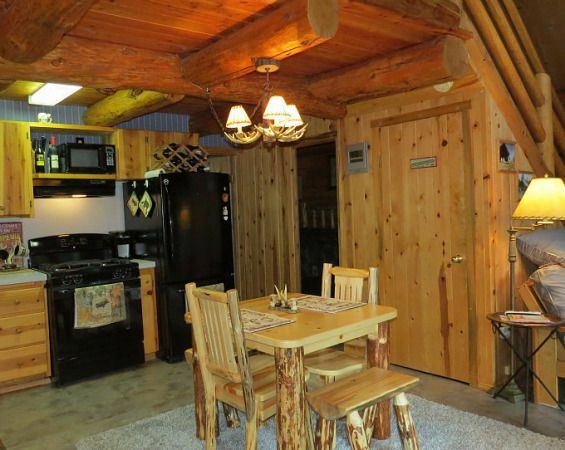 It has a complete set of appliances and a quaint dinner table, perfectly suited to a small gathering or family. Moving upstairs, the master bedroom is perfectly sized with a great picture window that illuminates the room with as much sunlight as you can handle, bringing you closer to the beauty of the day every morning. The second bedroom is very much comfortably sized as well, and both are more than spacious enough to fit a large, comfortable bed. 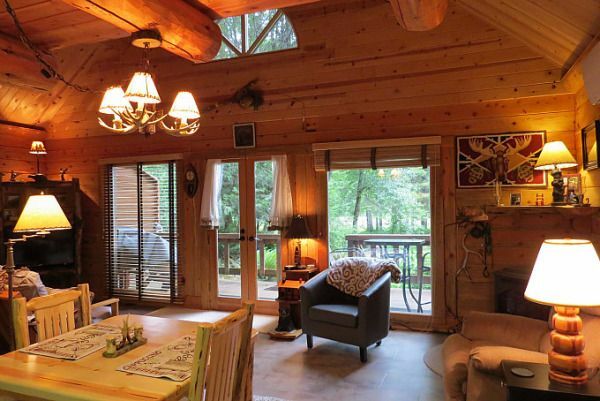 This one of a kind property is the stuff that most people dream about -- a beautiful, cozy home on a great plot of land which is perfectly located near a gorgeous, placid lake. 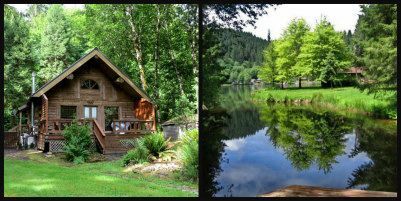 You'll be able to hike, wander, swim, boat and relax all in this great location. 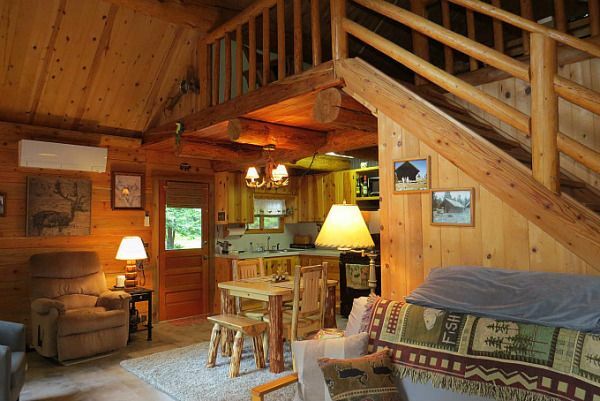 What do you think you would get up to if you lived in this cabin? Let us know, and LIKE and SHARE this post on Facebook!